The little burg that I live near had a city-wide garage sale weekend. More than 70 families participated. 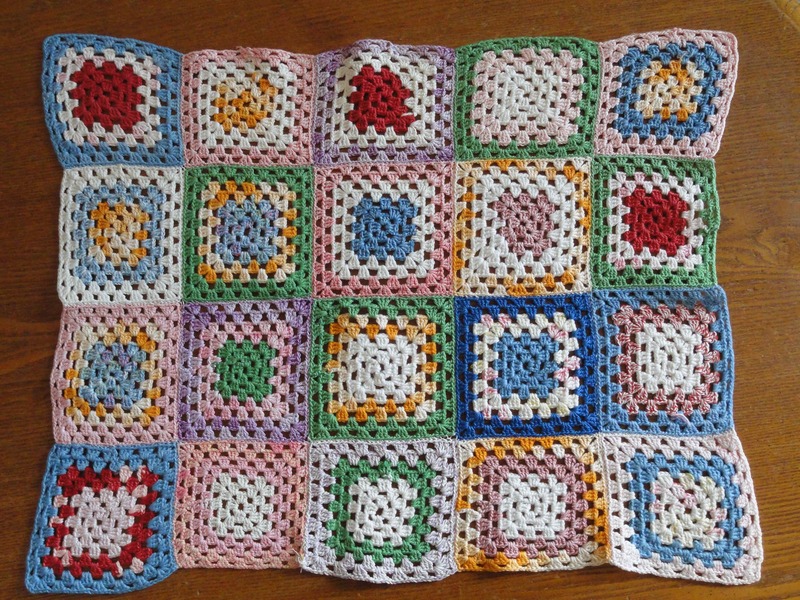 This is just the sweetest little doll blanket for my niece. It needs a tiny repair or two, but I can handle that. 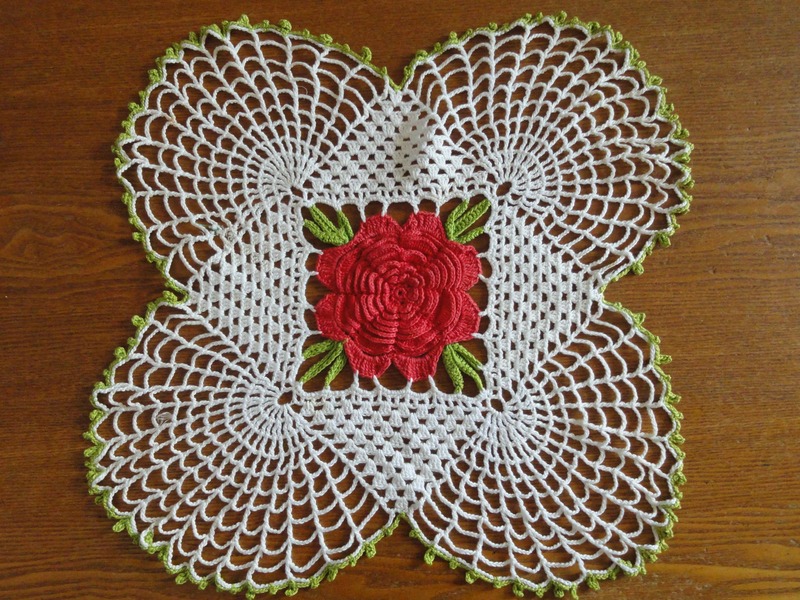 And although I am not a doily person, the lady gave me a 2 for 1 deal to rid herself of this one as well. 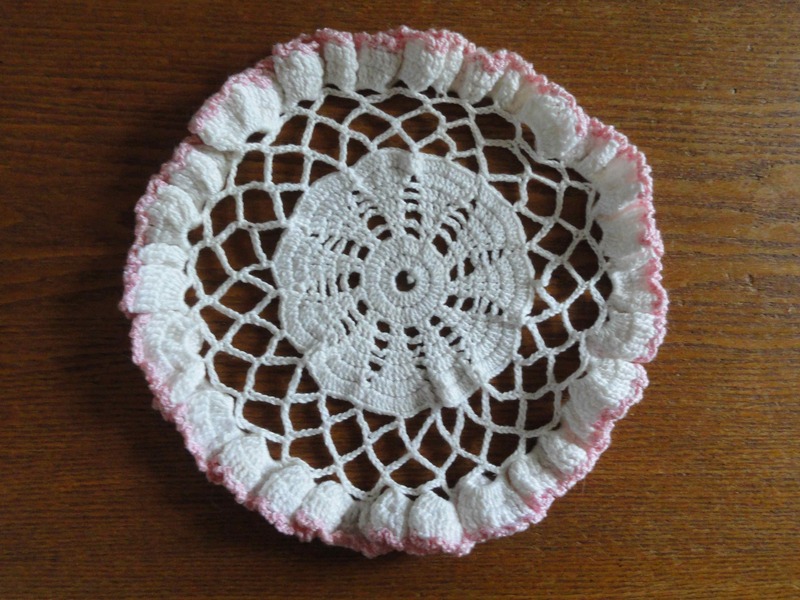 She was not a doily person either and had inherited them both years ago. It really is a beautiful piece, but I have no clue what to do with it. 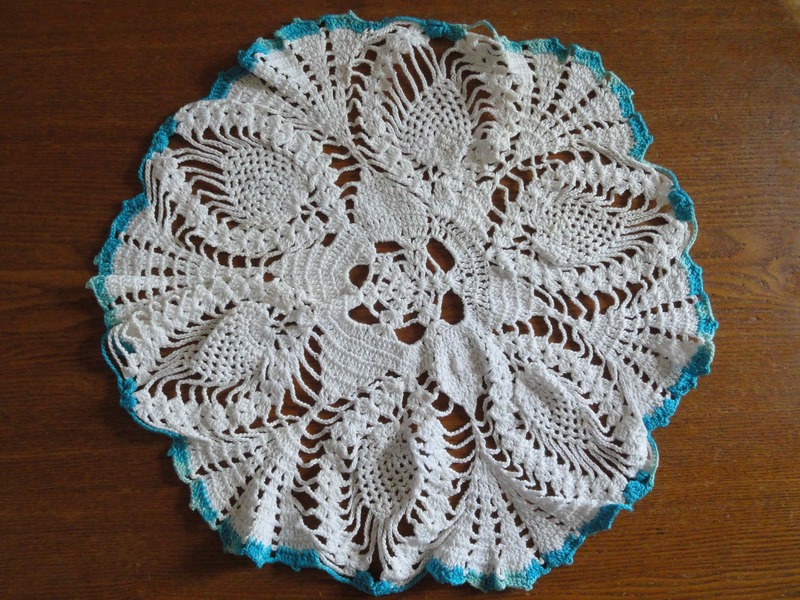 And when I got home, I realized that I too have inherited all kinds of doilies that are stacked up in my linen closet. So I photographed them for posterity’s sake, and now I think I need to find them a loving home. I’ve gone to craft fairs where people frame doilies. You can hang them in bathrooms or nurseries. 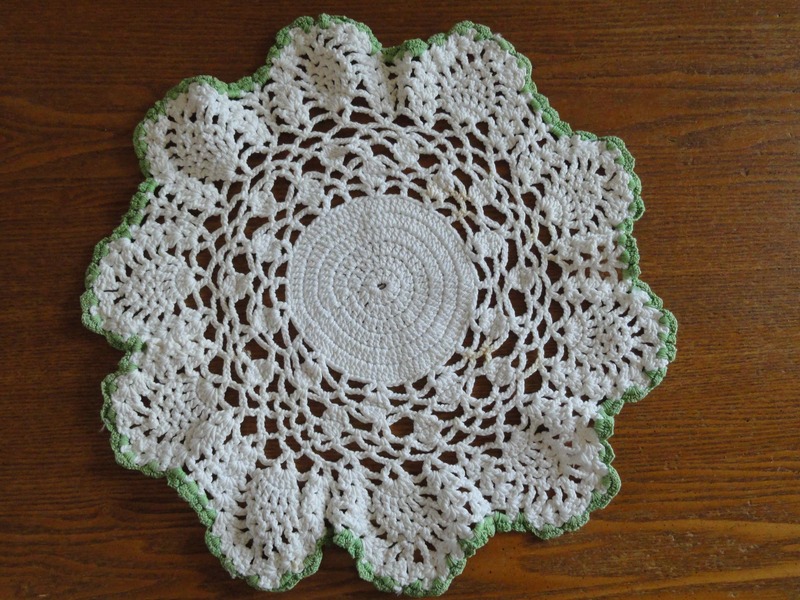 I love crocheting doilies. 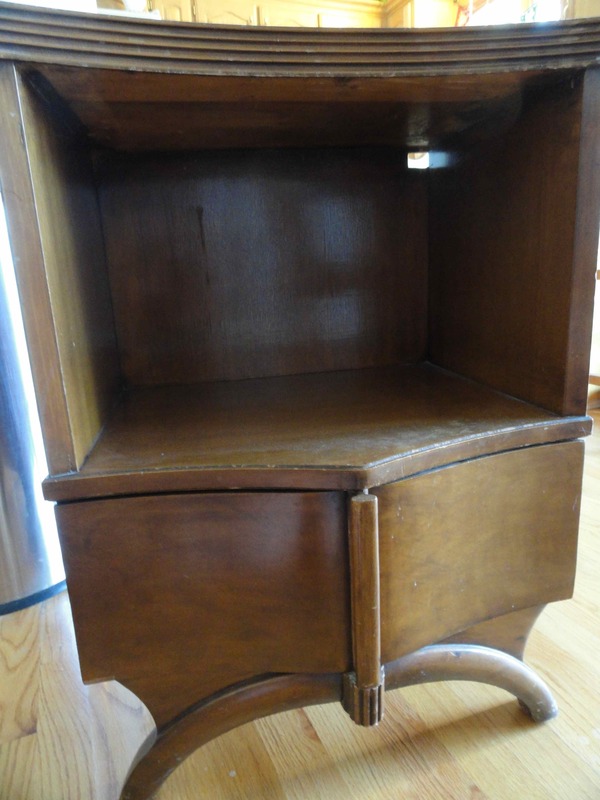 That end table looks interesting. Nice curves. Looks like there’s a small hole like for chords? Good place to recharge phones, e-readers, etc. That’s exactly what I was thinking. That way the tabletop can stay clear and the electronics don’t have to take center stage of every flat surface in the house. I used to work as a antique Chinese furniture and with my knowledge I think your table is made of solid wood and it has a beautiful design. I don’t think you are crazy to have bought this table. I think you have sharp eyes and good taste. I love the table. 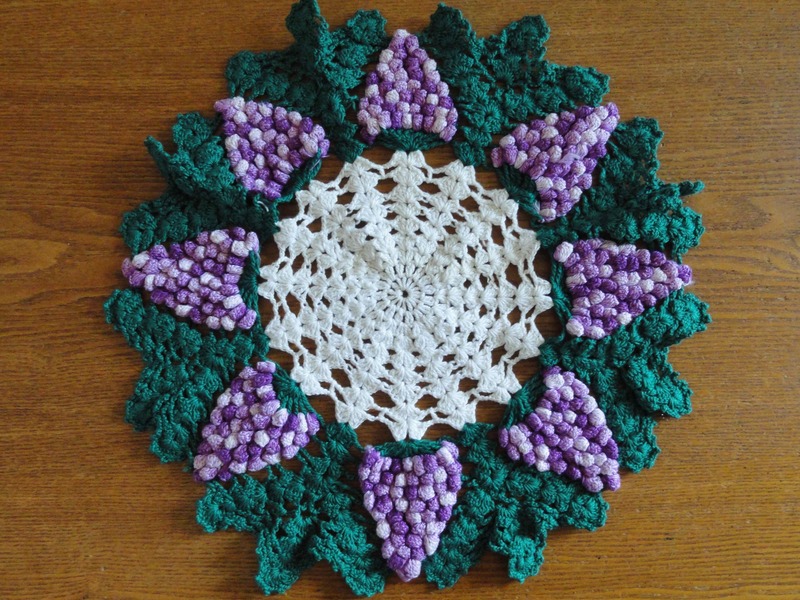 On your excursions, would you keep an eye out for a good crochet pinecone pattern? The ones I can find seem to be either too “cutesy” or just big ol’ knobby blobs, or the links are no longer active. One or two of the finished cones I’ve come across (and I really like) have the completed cone for sale, not the pattern. Heavy sigh. Help? Sure can Patty. I know that I do not personally have said pattern. 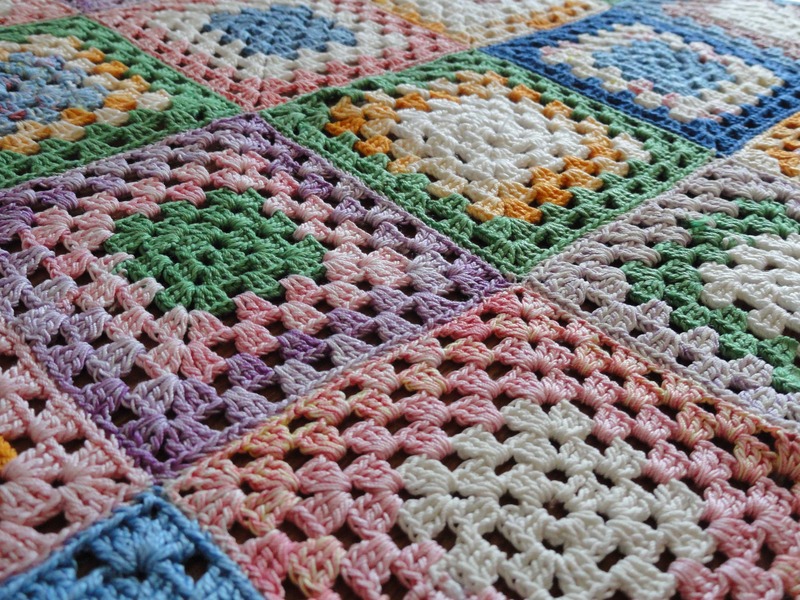 You know the drill, I have hundreds…nay THOUSANDS of patterns…but I still know what I’ve got. I will let you know if I find anything. That is a cool table! 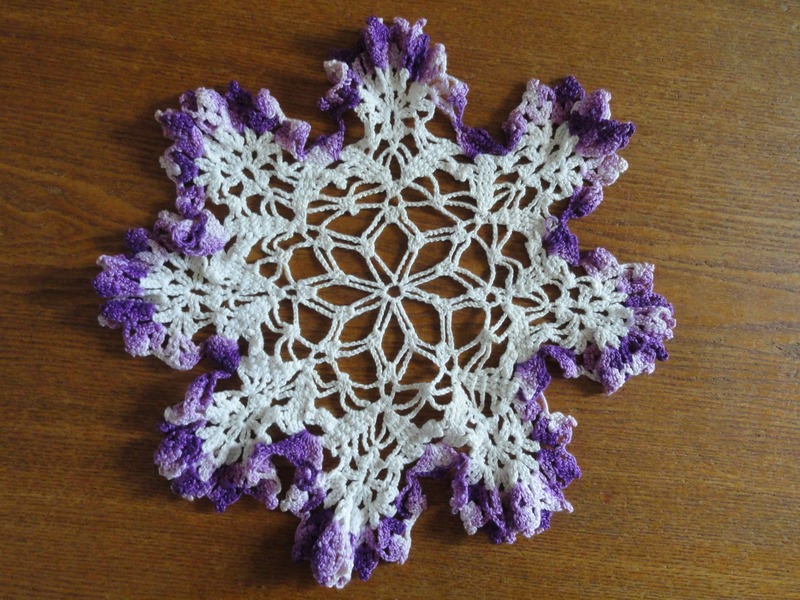 I like the suggestion of selling the doilies. Heck, if they don’t sell, you aren’t out anything and it was worth a shot!